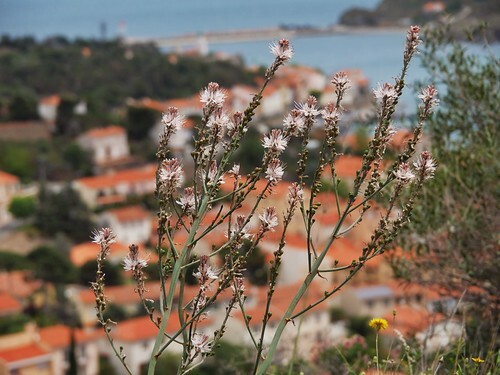 Now in May there is lots of wild flowers along the road we follows up in the hills above the small village Port-Vendres. The typical red roof bricks in South of France lays under us as we traverse the steep hill. As here hiking up to Fort St. Elme a summit overlooking Cote Vermeille.